Sheryl is an entrepreneur with a history of being involved in pioneering new approaches in the fields of health and fitness. She led one of the first corporate health and wellness program in the U.S. at General Dynamics, serving 15,000 employees and their families. She’s a founder and former Executive Director of the nonprofit American Council on Exercise (ACE) and she was CEO and one of the innovators of Wellcoaches, the first wellness coach training and certification program. Then, in the late 90s, Cheryl was diagnosed with lupus. About a year later, she was also diagnosed with rheumatoid arthritis. It was devastating news, both personally and professionally. Somewhere along the way, remarkably, within a year or so, Sheryl became symptom-free. But it wasn’t just about illness. Sheryl was a changed person. All the daily changes she made as a result of meditation and listening to inner guidance had accumulated. Many of the changes were small and hard to see on a daily basis, but given time, you could stand back and easily see the changes. For example, she resigning from the corporate work she’d been doing and left a marriage. And as a result of all the changes, Sheryl was happier, emotionally healthier, and living more of the life she wanted. Sheryl wanted to share her learning but wasn’t sure how to convey it. The element that gave her a way forward was the horse. At first her horse was just a means fo r horseback riding – something she loved to do. It wasn’t until she got thrown and hurt that her desire to connect with her horse and understand her relationship with her mare led to a whole new world of discovery about horses, herself, and about the art of using horses in equine facilitated learning. And so, instead of using a traditional coaching process to help guide someone through the wellness journey, she teams with horses to provide an experience that teaches healing; that is in and of itself healing. 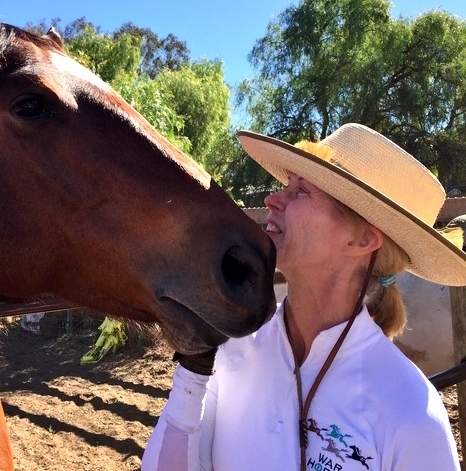 Now a coach and mentor trained to employ horses in a unique journey of self-healing, Sheryl is the Founding CEO of War Horse, a corporate team building equine learning company, and Founder and owner of Healing Horse, dedicated to using horses to guide personal development and wellness in people. 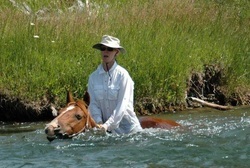 Check Sheryl out at Healing Horse! Go to Sheryl’s Meet Up page.